The nastiest thing that can happen when you are biting down into a submarine sandwich is to come out with a mouthful of drain hair -- that is seriously disgusting and probably the reason I don't eat at Subway anymore. But you know what is the automotive equivalent of a hair-sandwich -- finding an all-wheel-drive manual-transmission vehicle that ends up being a Plymouth Colt. 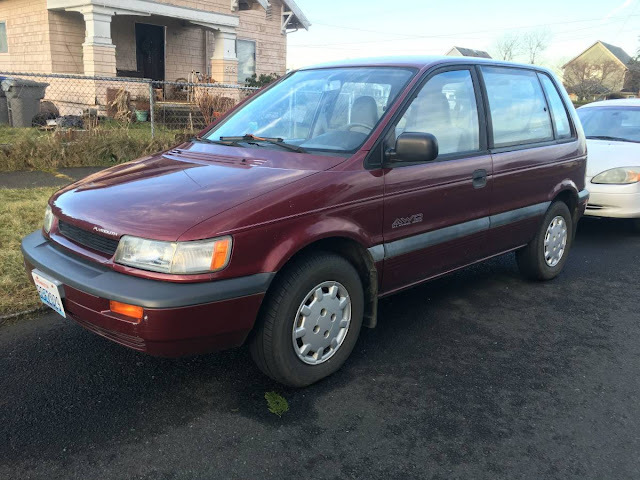 Find this 1992 Plymouth Colt Vista offered for $2,200 in Montesano, WA via craigslist. Tip from FuelTruck. This Plymouth Colt is a badge engineered version of the sixth generation Mitsubishi Mirage which could have also been sold as a Dodge Colt or an Eagle Summit...confused? Yeah me too. And you should be sorry as well, because the Plymouth Colt was a strictly Canadian affair in this generation, except for the wagon version which was based on the Mitsubishi Space Runner/Expo LRV -- aka the ЯVR...which is this thing. It won't be the least bit fast, but all-wheel-drive and a manual gearbox should be standard equipment on any car sold north of the Mason-Dixon line. Looks like it's got a 4G64 under the hood - swap in a couple parts from the 4G63 out of a turbo DSM, and it's the guy in the other lane who getting a bite of hair sandwich. Had a chance to drive a coworkers was pretty impressed with ride and handling. Since you brought it up, fun fact about the Mason Dixon line is that it is not just the east-west line separating Maryland (Calverts' hood) from Pennsylvania (Penns' digs). The complete line consists of that line plus the east-west line forming the southern border of Delaware, the north-south line adjacent that delineates Maryland's eastern border with Delaware, which also happens to be a line tangent to a 12 mile radius around the town of New Castle in southern PA, and a North Line that finally connects that Tangent Line to the east-west line. Mason and Dixon were both brilliant scientists who were commissioned to figure out where Pennsylvania stopped and Maryland began after several surveys got it wrong. Their work was considered to be highly technologically advanced, almost moonshot-like, given the incredible accuracy they were able to achieve despite that era's merely passable ability to measure longitude. It's my assertion that Charles Mason and Jeremiah Dixon would have appreciated the AWD utility of the Colt but, being Royal Society types, would have gravitated towards something more Scandinavian for their transportation needs. I agree with Matt, but would take it one step further. 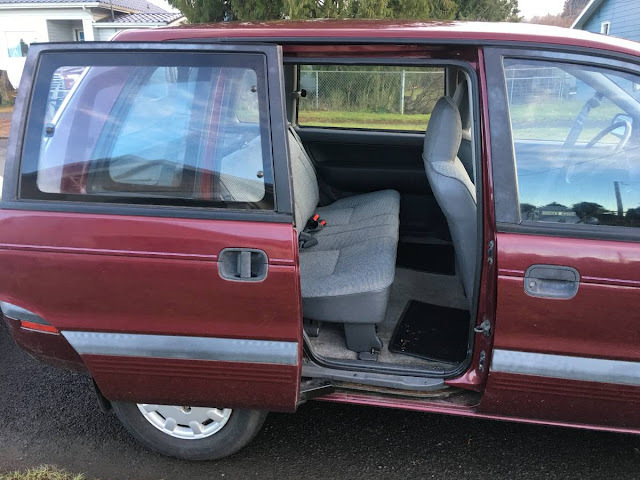 Swap in the turbo engine and pull the front axles, now you have a rear wheel drive turbo machine begging to go embarrass some kids at the local drift track!